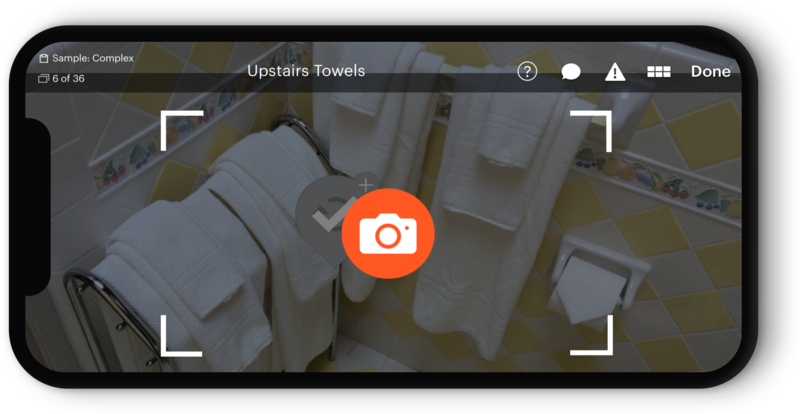 Learn how to take verification photos that show your client the property is staged to their standards and ready for guests to arrive. Your client can ask you to send a verification photo of any task you complete using the Properly app. Good verification photos help you and your client to keep a track record of the property’s cleanliness and preparedness for each guest. If a guest complains that the beds weren’t made when they arrived, for example, your client will know that this isn’t true - because they have photos of the perfectly-made beds you sent when you completed the task. Verification photos also help the client figure out when damage occurred and recoup the cost of that damage from the guest who caused it. By reviewing previous verification photos, they’ll know when an item went missing or got broken. When will I be asked for verification photos? If your client has requested a verification photo of a completed task, you’ll see a camera icon appear after you check off that task in your checklist. This means your client has requested a verification photo. Tap the camera icon to take the photo, and click the check mark to verify that this is the photo you want to use. To get the best use of verification photos, it helps your client if you can take the photo from the same vantage point as the reference photos they provide. If you take a photo from the doorway when the original was taken by someone standing at the foot of the bed, it can be hard for the client to determine whether the room looks the same from photo to photo. If you’re taking a photo of a task such as running the dishwasher, take a photo that demonstrates the task was completed so the client can use it as a reference. For the dishwasher, you might take a photo of the lights on the panel that show the dishwasher is running. For returning the keys to the lockbox, show the keys inside the lockbox rather than the lockbox after it’s been closed with the keys inside. As with all photos, try to be sure there’s sufficient light to see the photo clearly!